The Google Analytics dashboard offers you a huge variety of ways to run reports and examine data about your application. In this article, we'll run through some of our favourite standard Google Analytics reports and provide some tips on ways to create more customised reports, that allow you to track metrics more specific to you and your users. Before you dive into the Google Analytics dashboard we wanted to flag that to save you time we have already compiled a number of key metrics and reports from your analytics data in your Pugpig Distribution Service dashboard. These reports cover what we consider to be all the key metrics for our Pugpig Publish and Bolt apps. We'd advise reviewing these reports before diving into the Google Analytics dashboard as they may contain the information you need already. Google Analytics offers a wide range of different reports and views on the dashboard that provide insight into how your app is performing. Here we provide some detail on the most useful areas of this dashboard and highlight some of the more interesting reports Google Analytics provides as standard. This dashboard lets you view real-time data for your app so you can see what users are up to right now! All other data is logged historically and may not appear for up to 24 hours. Devices and Network is where you can check which platforms are tracking data, and report the most or least common devices and OS versions used. Cohort Analysis allows you to analyse your user retention over a set time frame. Geo shows your userbase's location. This is the part of the dashboard you will probably spend the most time as it's where you can find information about what content users are viewing (screens) and what users are doing when they are in your app (events). When viewing these reports please refer to the Pugpig Analytics spec for details of what the screens and events you are tracking. The Screens section reports on how many people have viewed each screen in your application and how long they spent on each screen. In Pugpig we track all applications screens as screen views, including the native app views like the settings pages as well as individual content page views. The Screen Names listed in the Pugpig Analytics spec match the Screen Names listed in this report. Tip: The Screen Names Pugpig tracks for content views aren't that human-friendly so it helps to apply a Secondary Dimension of Pugpig Page Name to the report if you want to see what content people are reading. We track a large range of events in our Pugpig apps that tell us what content users are accessing and what features are most popular. 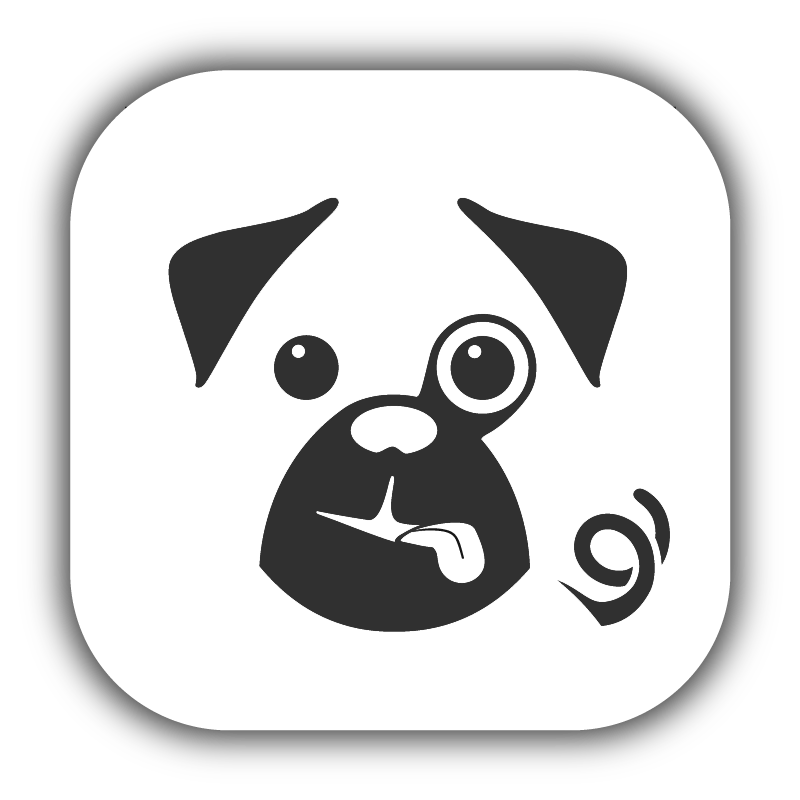 We also track events for logging and error reporting purposes so we can monitor the health of all our Pugpig apps. You can use the Top Events report to see the most popular events being tracked in your app. This report can them be customised further by adding a Secondary Dimension or filtering the results to just show certain events. Tip: An event entry is recorded with three Primary Dimensions; an Event Category (where the event occurred), Event Action (what the event was) and Event Label (event parameter recorded). In most cases, you will want to set your report to filter results by Event Action. In this section we'll run through some ways you can do in more in-depth custom reporting in Google Analytics to help you report on data more specific to your Pugpig application and user base. When we talk about "custom reporting" we are referring to a number of different options Google Analytics provides to allows you to build up unique data sets and metrics. This means we are not just discussing creating Custom Reports but also looking at creating new Segments and Dashboards. There is no correct way to find data in the Google Analytics dashboard and as you start to use the interface regularly you'll find there are a number of different ways you can go about finding the same piece of information. What approach you take will depend on what you are comfortable with and how often you need to access a specific metric. Segments can be applied to existing Google Analytics reports and any Custom Reports you create. A Segment essentially allows you to filter the data in your report to just show results for users who meet a certain set of conditions or criteria. For instance, you may just want to look at what Android users have been doing in your report or only look at data for users whose first visit to the app was in the last week. You'll notice on your Google Analytics dashboard that Google defines a number of pre-existing Segments for you, including 'All Users' which is applied to all your reporting views by default and shows data for all traffic to your Google Analytics Property. The Google Analytics help pages provide instructions on setting up Segments here. Segments can be very simple and require users to just meet one condition or they can be complex and require users to meet a number of conditions. For very specific reporting requirements you may find that you need to create your own set of custom Segments. If you are having trouble creating the Segment you want we would advise looking at Google's help pages and reviewing our Pugpig Analytics spec to ensure you are targeting the correct set of users. The Google Analytics interface allows you to create completely Custom Reports so you can pull out metrics specific to your reporting needs. Google provides instructions on setting up Custom Reports here. Custom Reports are great because once you have created them they are saved to your Dashboard so you can return to them whenever you want. It, therefore, makes sense to set up Custom Reports for metrics you know you will need to report on regularly as creating them will save you time in the long run. You can also share your Custom Reports with other users and export the data in a number of formats. Google Analytics also provides you with the option of creating Dashboards. Google provides instructions on how to create and customise Dashboards here. A Google Analytics Dashboard can contain up to 12 Widgets that give you an overview of the Metrics and Dimensions you care most about at a glance. It is worth flagging that some of the examples provided above could easily have been created as Custom Reports instead of Dashboard Widgets. We would normally advise picking a Dashboard Widget for a metric that you can take at face value and don't need to interrogate much and Custom Reports for metrics where you need to filter the data in more detail. However, what medium you choose to use is completely up to you and either approach is entirely valid! Happy reporting! If you have any questions, please contact us on support@pugpig.com.